Meredith and Travis wandered through the West Edmonton Mall on their ten-year anniversary, casually looking at engagement rings. Meredith absolutely fell in love with one. After snapping some photos, they continued on with their shopping. Later that evening, Meredith went to the spa for a massage. Travis told her he was going to have a beer and watch the ball game while he waited. Instead, he snuck back to the jewelry store and bought the ring! The very next day, in their hotel room before supper, Travis got down on one knee and asked Meredith to be his wife. She was so excited she wanted to tell their waiter at supper, but managed to keep it a secret until they could tell everyone on Thanksgiving! Plans were in the works for a 2017 wedding when Meredith revealed an even bigger surprise, due that fall! With the wedding on hold, we met up for some maternity-style engagement pictures out at Cranberry Flats. There was so much love and emotion as not two, but three souls intertwined in this session. A few tears were even shed as Meredith and Travis shared their dreams for parenthood, their baby and their future. It was super windy and the light went absolutely crazy towards the end. It could not have been more perfect. Their wedding is on for this October and I can’t wait to finally meet their baby girl! 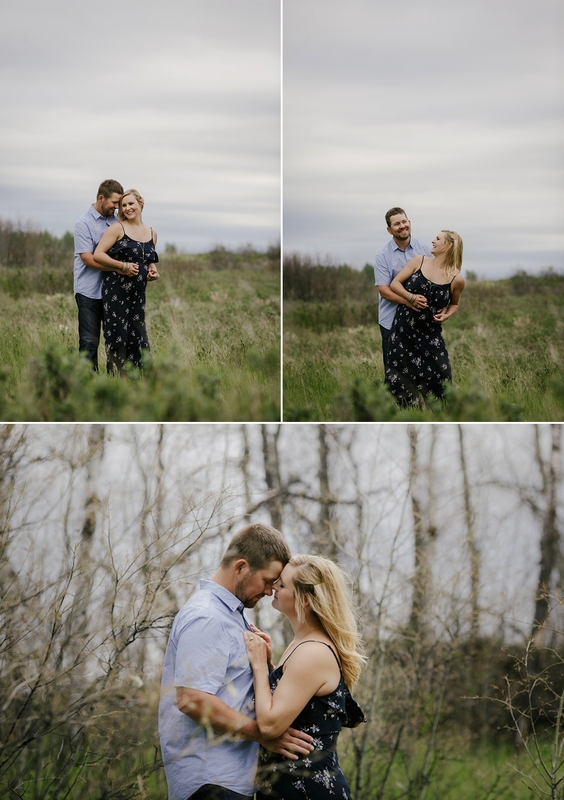 Saskatoon engagement pictures by Copperblue Photography and Design – wedding photographer specializing in rural weddings, farm weddings and lake weddings in central and northern Saskatchewan. you can just feel the love! BEAUTIFUL! Thanks Allie! I can’t wait for their wedding! Their session is so romantic! It looks like you had a perfect evening for it too. Thanks Jenn! It was a bit windy which added just the perfect romantic touch! What a sweet session. I love how sneaky he was in getting the ring so quickly! Right? I can’t wait for their wedding, it’s coming up fast! 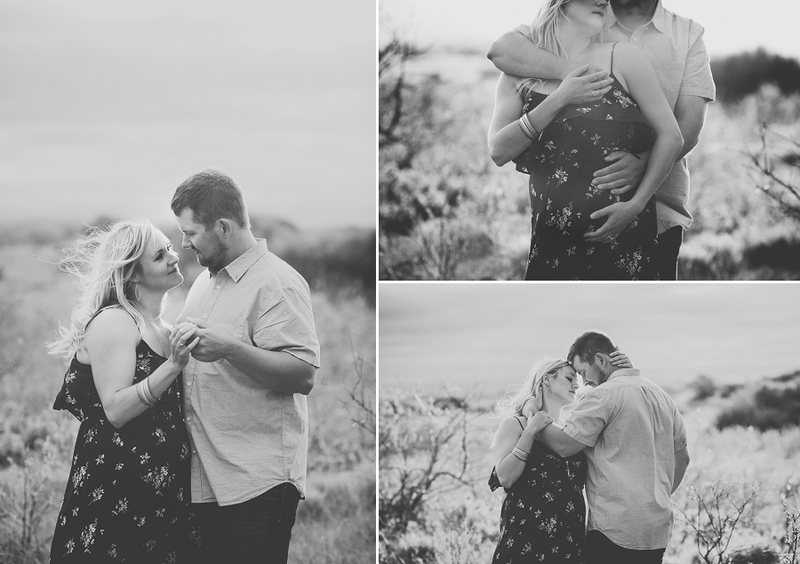 beautiful engagement photos, I love the story of how they got engaged…so sweet! Thanks Michelle! I loved their engagement story too. Can’t wait for their country wedding this fall!